Dozens took to the streets Sunday afternoon to honor and call attention to the people whose lives have been lost or otherwise turned upside down in pedestrian or cycling crashes. ALEXANDRIA, Va. — Dozens took to the streets Sunday afternoon along a two block path between the Potomac River and Market Square to honor and call attention to the people whose lives have been lost or otherwise turned upside down in pedestrian or cycling crashes. Mike Doyle, of Alexandria Families for Safe Streets, is a pedestrian crash survivor. The organization’s goal is to change infrastructure and policies in the city of Alexandria to help everyone stay safe. “We have 80 people per year being crashed into that are pedestrians and cyclists. For every cyclist that’s crashed into, there are four pedestrians that get crashed into,” Doyle told the dozens gathered in Market Square Sunday afternoon. “In those … are statistics called ‘killed and seriously injured’. That’s what the street people and the engineer people look at. But behind those statistics are people who are husbands and wives, parents, grandparents, children, friends and neighbors. And the number of killed and seriously injured has been going up in this town,” Doyle added. 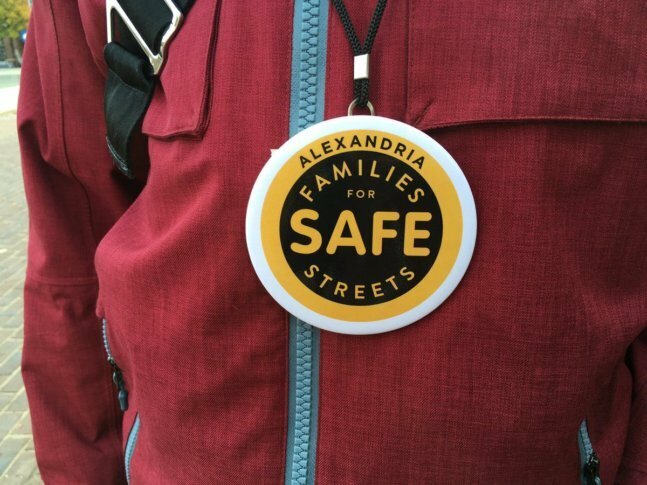 One of the goals of Alexandria Families for Safe Streets is to put faces and stories to the pedestrians and cyclists who have been seriously hurt in crashes and, for those who were killed, giving voice to the family members they left behind. In addition to awareness, education is another goal. “That, combined with engineering changes on the streets and higher visibility enforcement will reduce these needless crashes,” Doyle told WTOP after the event ended. And when those changes happen, part of the education effort is helping folks understand why changes are happening. Wilson, Alexandria Police Chief Mike Brown and Virginia State Del. Mark Levine (D-D45) recommitted their efforts to do what they can to reduce the numbers of such preventable crashes.